New to Advocacy? Watch our Advocacy 101 webinar for tips! Want to brush up on your legislative visit skills? Watch our sample visit for ideas! You can visit your legislator in his office at the General Assembly during session (or on Capitol Hill), or you can make an appointment to visit them at their home office nearer your museum. This latter option is often overlooked, but since legislators tend to be in their home offices at quieter times of year, you might get more attention and time with this option. The tips below will help prepare you for an in person visit. If you prefer to write a letter, try this tip sheet for some good guidelines. Download our Tips for being an Effective Advocate to brush up on your skills. Visit the American Alliance of Museums' website for more resources and tools to help you with advocacy. Check out this playlist of advocacy videos to learn more about advocacy. Print out and take two important infographics with you - VAM's Museums by the Numbers, which showcases museums impact on the Commonwealth, plus Virginia Tourism Corporation's Museum Travel to Virginia. Introduce yourself and indicate what group (mention number of members) or institution you represent. Ask for something specific: i.e., favorable consideration on an issue, support for a budget amendment, etc. Keep your message brief and to the point. Do not stay longer than 10-15 minutes. Use anecdotes and real-life situations if possible – the impact of a VFH or VCA grant on your museum; the effect of your child’s participation in a school/museum program; the uniqueness of an organization’s cultural programming; the participation of an institution in vital research. Acknowledge the difficulty in stretching the state’s resources to address all of its needs. Point out that support for museums and the arts should be considered an investment in an economic and educational resource which will provide a positive return. Offer to serve as a resource for information. Thank the legislator for his/her time and consideration. Ask for their support for your issue one more time. Leave your business card. Sign up to receive newsletters, or follow your legislator on social media, to interact and stay updated on issues important to them. Share your museum news with them, to stay on their "radar." Write a thank you letter, and include some follow up information based on something you learned during your visit (i.e. if you learned that the legislator likes Civil War museums, send him/ her a list of ones in their district with your thank you). It will help you be remembered. Set up a time to visit with your legislator in their home office once the General Assembly session is over. This keeps the relationship going, and they are more likely to be relaxed and have more time for you, since they won't be rushing to a committee meeting or vote. 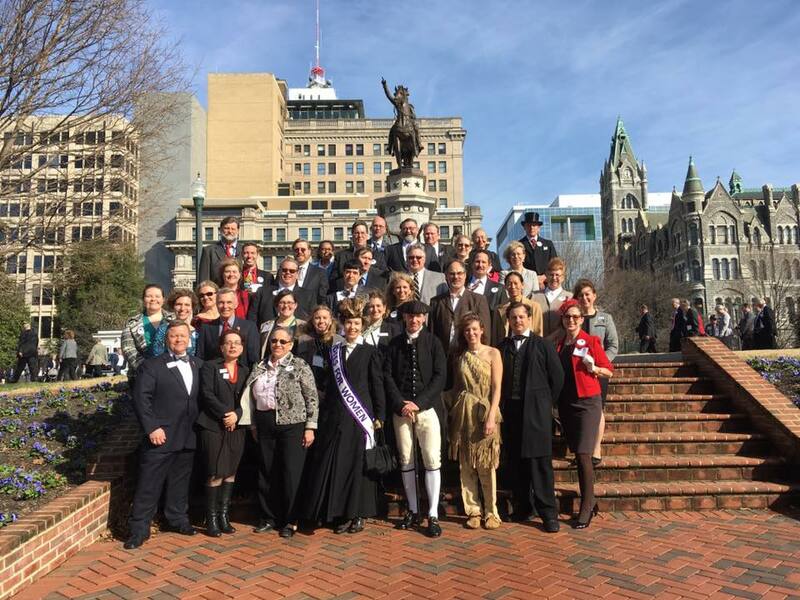 The Virginia Association of Museums serves as an advocate for museums and issues affecting museums. VAM has presented testimony before hearings and regularly provides information on the Virginia and District of Columbia museum community to legislators and elected officials. Through our regular Legislative Updates, we keep members informed of legislation that is of interest to museums and the cultural field. Our advocacy workshops and information will help you to be a better grassroots advocate for your museum.